Pune - Ahmadnagar - Shani Shingnapur - Aurangabad - Daultabad - Ellora. 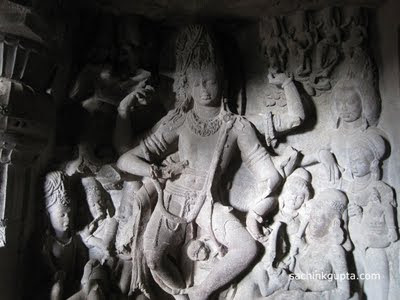 6:00 am to 6:00 pm; Note: Ellora Caves are closed on Tuesday. Ellora Caves, spanning during the period 5th and 11th A.D. comprise Buddhist monasteries, and temples of the Hindu and Jain faiths. Ellora, is famous for its architectural design and outstanding sculptures. 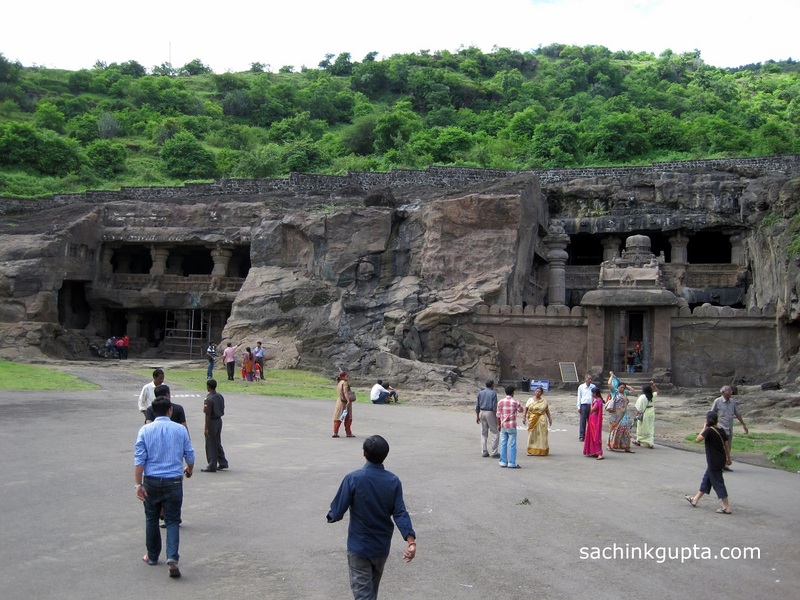 The 34 "caves" – The 12 Buddhist (caves 1–12), 17 Hindu (caves 13–29) and 5 Jain (caves 30–34) caves, built in proximity, demonstrate the religious harmony prevalent during this period of Indian history. Among these, the most notable ones are cave 5, 10, 15, 16, 21, 29, 32. Most famous of the Buddhist caves is cave 10, a chaitya hall (chandrashala) or 'Vishvakarma cave', popularly known as the "Carpenter's Cave". Kailasha (Cave 16) is designed to recall Mount Kailash, is a splendid artwork, not to miss. In the brahmanical excavations, the imagination and poetry of the various concepts was reflected in artwork which attained a new visual grace, power and fame. All Jain caves [30-34] belongs to Digambara sect. 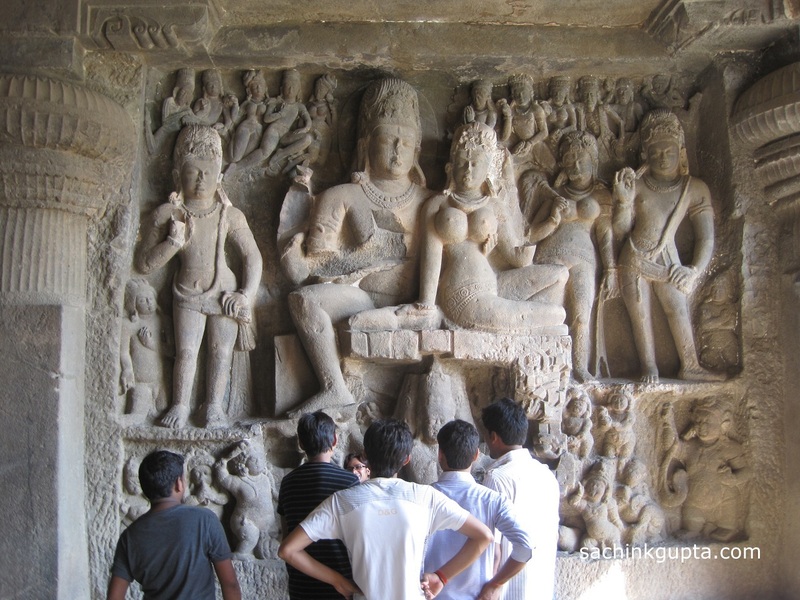 Jain caves reveal specific dimensions of Jain philosophy and tradition. Many of the structures had rich paintings in the ceilings – fragments of which are still visible. One aspect a typical visitor overlooks is the geological background of Ellora. In fact the most defining factor why Ellora was ever made and that too at this location is the geological peculiarity of the place. Cave 10: Most famous one, A Chaitya hall(chandrashala) or Vishvakarma cave, also known as "Carpenter's Cave"
Cave 16 - Kailasanatha Temple, the center masterpiece of Ellora. Multi storeyed temple complex. 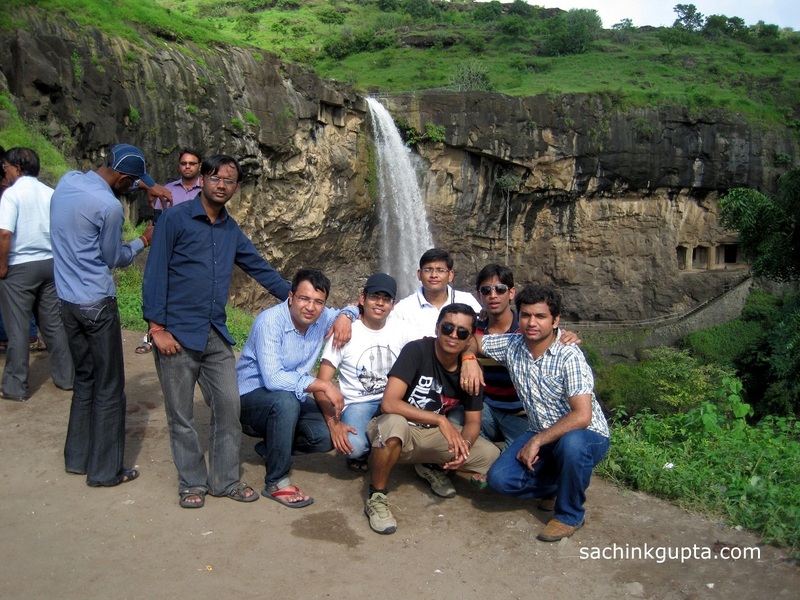 Ellora Waterfall: The waterfall can be enjoyed during monsoon season in full flow. It can be seen easily in between caves 28 and 29. There is a bridge that connects between caves 28 and 29. You can reach just below the waterfall through the bridge. During high monsoon season, It remains closed due to rock sliding. 1. 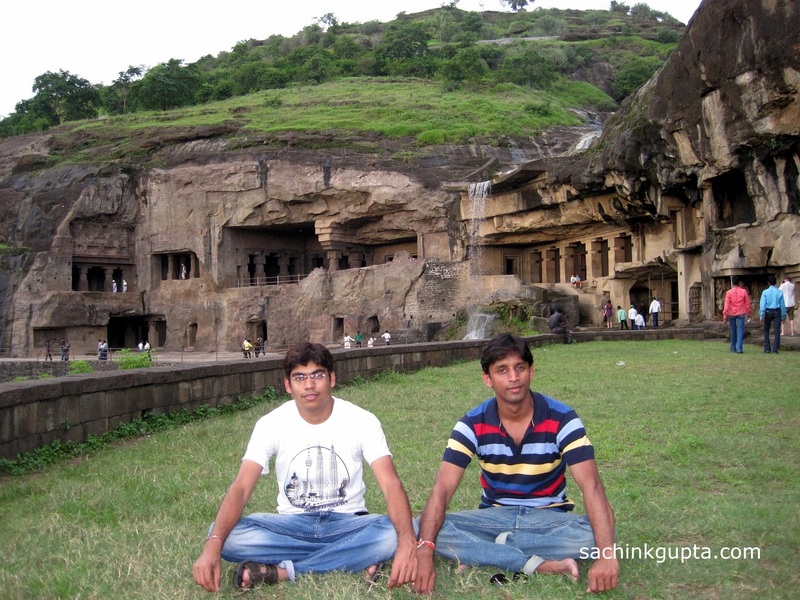 To start early in the morning, stay nearby Ellora caves area, or Aurangabad. 2. The best time to visit Ellora caves is, in the winter months October to February. 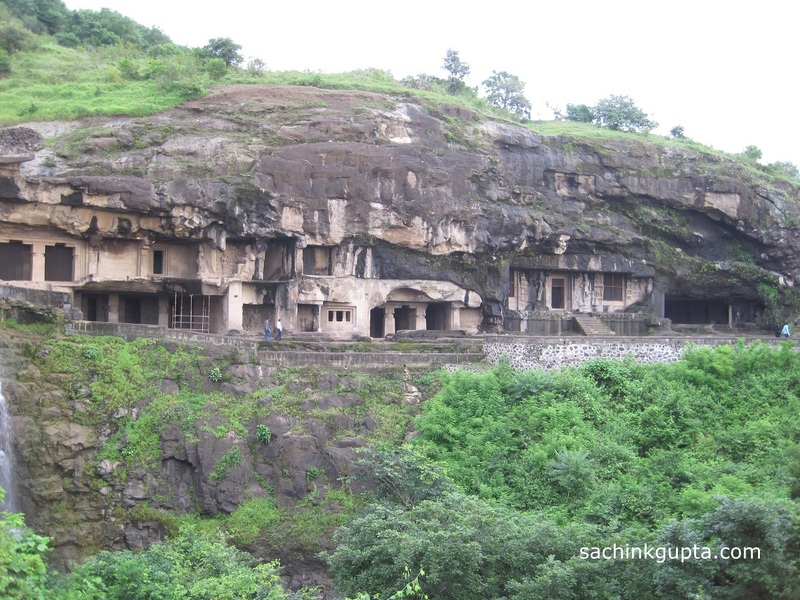 But During monsoon season, It can be enjoyed more, caves covered with lush greens. Ellora waterfall and some more small waterfalls can be enjoyed. 3. Try to start early in the day, so that It wouldn't be exaustive. 4. The taxi parking ground faces Cave 16, and visitors are used to make this their starting point. But, It is advisable to walk down, and begin with Cave 1, if you are by foot. If you own the vehicle, Start with to take the vehicle 1.5 Km up the road to another part of the hillside to visit the last 5 Jain caves [30 - 34]. It will save the time, then the middle series Hindu caves [13-29], and at the last finish the buddhist caves [1-12]. 5. Bus and vehicle can go to caves no. 21, 29, 34 only. Save your time reaching these points by your vehicle. 6. 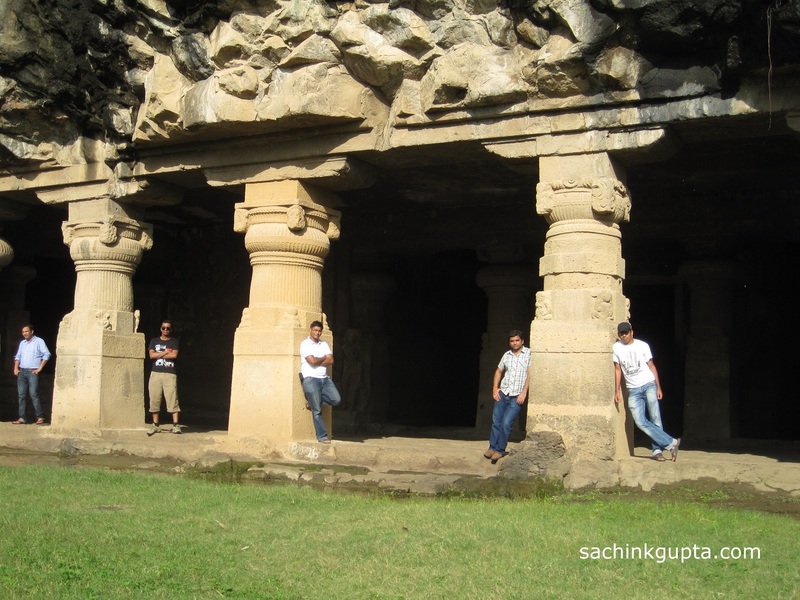 Bring ample snacks and water before starting for the Ellora caves, as you wouldn't get anything up the hills. 7. It will take 4-6 hrs to cover all the caves, depending on how you are traversing the caves. 8. There are many meditation halls to sit calm and relax for some time. 9. Just opposite cave 16, A big garden can be enjoyed from top of Kailasha. 10. If you have very short time, Cover the most notable one caves - 5, 10, 15, 16, 21, 29, 32. 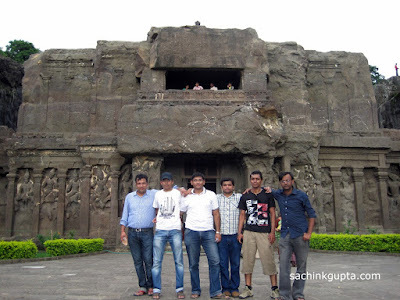 Visit other World Heritage Site - "Ajanta Caves" [100 Km away from Ellora Caves] in Maharashtra. Its amazing experience as we had a blast altogether.